On Saturday, May 27th at 11:00 am Montana House will host a presentation by renowned local photographer/videographer Sumio Harada in another “Look, Listen and Learn” program series. 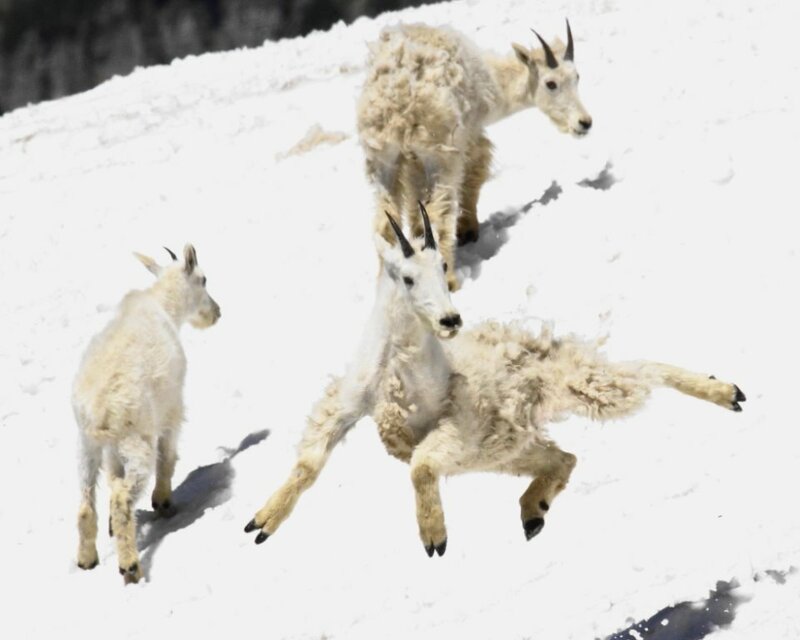 Sumio will present extensive video footage of mountain goats of Glacier National Park in the recently completed room (named “Kintla Camp”) on the 2nd floor of Montana House. His videos depict mountain goat behaviors such as nanny and kid interactions, seasonal feeding and mineral licking, mating, travelling and playing on snow banks. Also included is footage of bighorn sheep, pika, ptarmigan, marmot and other wildlife species. Due to popular demand, we have added a second presentation at 1pm! Call now! 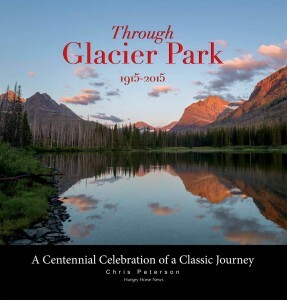 In 1915, author Mary Roberts Rinehart wrote “Through Glacier Park in 1915”. 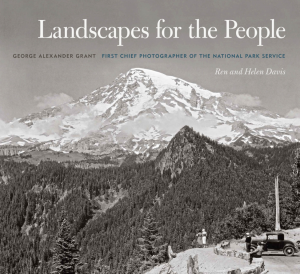 It was her story of a 300-mile journey through Glacier Park. 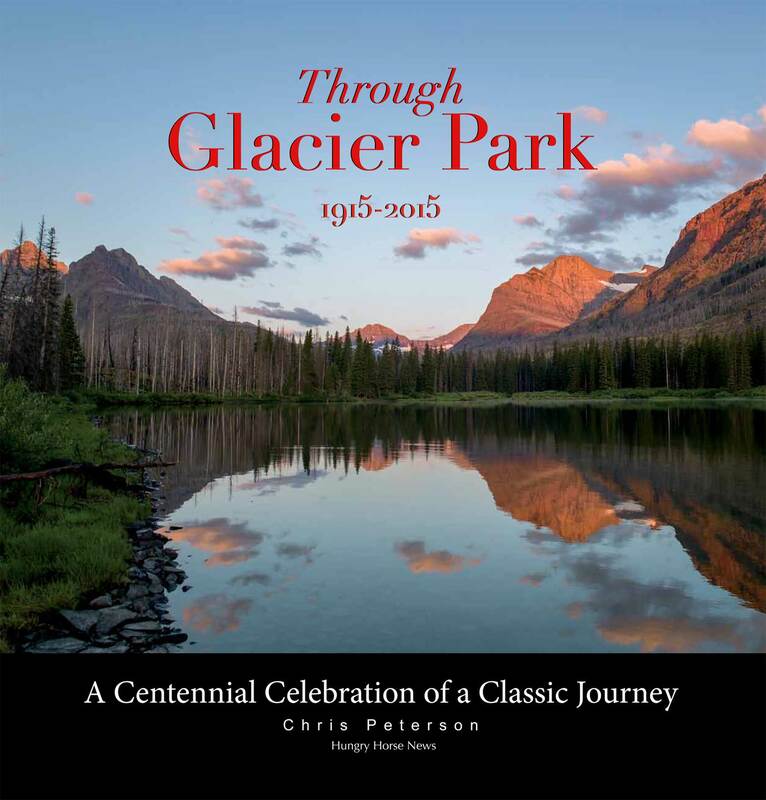 For the 100th anniversary of that trip, Chris Peterson retraced that journey and wrote his third book “A Trip Through Glacier Park” which he will present for our first Look Listen and Learn program of the 2016 summer season. Chris Peterson has been with the Hungry Horse News for the past 18 years, either as its photographer or editor or both. He lives in Columbia Falls and has hiked almost every trail in the Park and hundreds of miles in the Bob Marshall Wilderness. Reservations required – call (406) 888-5393 or click the button to send us an email. Reception to follow presentation. Owner, Monica Jungster, will host our celebration. Participating artists include: Jim Jensen, wood carver; Elaine Snyder, buckskin clothier; Jim Jokerst, wildlife artist; Sumio Harada, photographer; Kelly Apgar, oil painter; & Greg Morley, handcrafted canoes. Musical group Nuevo Columbia. Glacier National Park celebrated with an afternoon event that included talks relating to the Road’s construction 75 years ago and also included speeches by local dignitaries, and representatives of various Native American Tribes The Montana House also celebrated with featured wood carver, Jim Jensen, “The Bear Man.” Jim’s father worked on the Road and Jim lived in Apgar as a young boy. While Jim reminisced about those days, he was joined by local resident, Ted Swanberg, whose father and older brother worked on the Hungry Horse Dam. Former Jammer, Gordon Doggett, a Montana House employee whose father was a Jammer in the 30’s, joined Jim and Ted with stories of his Jammer Days.